New CR4BT and CR5BT designed to bridge the gap between professional and personal applications. 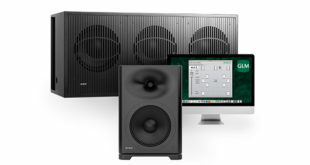 Mackie has introduced two new models to its CR Series Multimedia Monitor line: the CR4BT and CR5BT (pictured). Both new models feature Bluetooth music streaming from any capable device, adding source flexibility ideal for auditioning comparison tracks. The new CR4BT and CR5BT join the CR3 and CR4, all designed to bridge the gap between professional and personal applications. The new CR5BT features a high-output five-inch woofer for added low-frequency response. All CR monitors utilise ¾ inch silk-dome tweeters for ‘smooth, articulate highs’, while a left/right speaker placement switch allows users to locate the volume control on the left or right of their workstation. The front panel includes an on/off volume knob with a lit power indication ring that will also control the volume of headphones, which can be plugged directly into the front of the monitors. "A common expectation of technology products these days is fewer wires, whether in a studio, entertainment system or other multimedia environment," commented Mackie channel marketing director Matt Redmon. 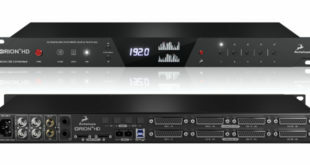 "In consideration of that evolving customer demand, the new CRBT models provide the same studio-quality design and acoustic performance as the other Creative Reference models, only now with the flexibility of streaming audio wirelessly in environments where high-quality sound is required." Both new models feature a front panel Bluetooth button for pairing and connection indication. There is also an additional front panel aux input for connecting alternate audio sources. "With smartphones always at your side, you can easily find yourself creating professional multimedia one minute and streaming a video the next," remarked Redmon. "With our new Bluetooth-capable CR monitors, you get the best of both worlds…studio-quality performance and effortless connection to the music you love." All Mackie CR Series monitors come with all necessary connecting cables, in addition to a pair of acoustic isolation pads to minimise unwanted bass buildup. The pads’ angled design allow the user to tilt the monitors slightly up or down for more focused listening depending on their setup. 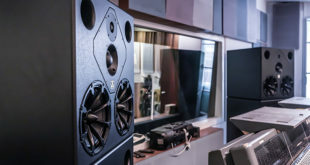 "So whether you’re a seasoned pro looking for a compact pair of accurate, articulate monitors for work or just looking for a pair of amazing-sounding speakers for entertainment, Mackie CR Series monitors are an affordable solution that deliver professional results in our most compact form factor to date," concluded Redmon. 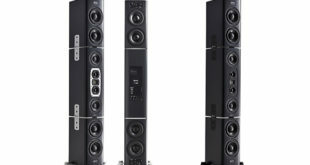 The new Mackie CR4BT and CR5BT are now shipping worldwide. Sold in pairs, CR4BT monitors will have a US MSRP of $259.99 and CR5BT monitors will have a US MSRP of $329.99.